Hair coloring. In addition to celebrity stylist Michael Canale, our salon houses multiple amazing hair colorists that have been trained by Michael himself. Our salon prides itself on creating natural-looking, healthy hair color and highlights for every client. Brazilian blowout. Fight frizz and enjoy smooth, luxe locks with a Brazilian blow out. In addition to gorgeously smooth tresses, a Brazilian blowout can even help enhance color treatments. Most treatments last between 10-12 weeks. Blow dry. When your basic air-dry or home skills won’t cut it, our stylists can get your hair event/business/vacay-ready with a gorgeous blow dry. Haircuts. In addition to fabulously natural-looking color, our salon also offers feature-flattering men’s and women’s haircuts for all hair types. Work with our stylists to find a cut that complements your angles and hair type. Extensions. If you’re over the summer lob trend, hair extensions can help you get your long locks back. We use the highest quality hair so that your mane looks healthy and natural. Shhh, no one has to know. Deep conditioning. Too much sun can make hair cranky and dry. 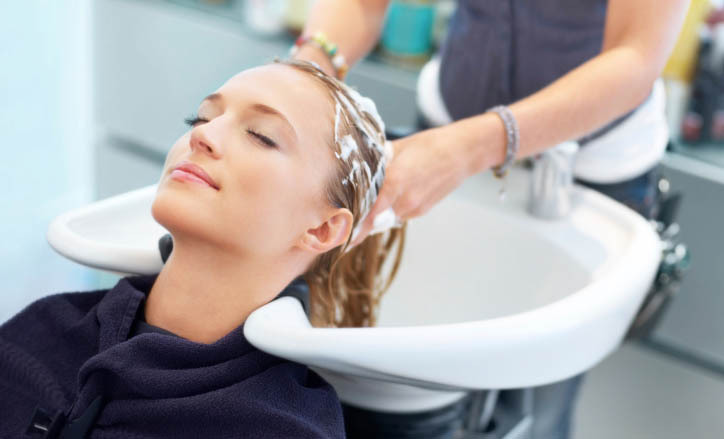 Ask your stylist to add in a deep conditioning treatment at your next color or cut. Canale Salon’s goal is to help our clients love their hair. We work with your natural hair color and features to find the perfect color and cut every time. We’ve helped a-listers to at-home moms snag enviable red-carpet ready hair and we’re confident we can accomplish that for you, too! Contact our salon to schedule an appointment with Michael Canale or one of our other amazing hair stylists and colorists. Or, check Michael’s schedule to see when he’ll be coloring hair in your city!